Have they Discovered the Lost Prayer Diary of Elijah? | Open Our Eyes, Lord! Have they Discovered the Lost Prayer Diary of Elijah? The following is a scholarly address, which I seem to remember giving many years ago before the International Association of Scholars, Theologians, Philosophers and other Professional Thinking Persons (AFL-CIO). Thank you for your invitation to address this scholarly assembly. Webster’s defines “scholarly” as “Of, relating to, or characteristic of scholars or scholarship”; but later on it gives a couple of other definitions,including #3 “depressingly and numbingly monotonous, dull, or wordy.” That seems to land us just about where we need to be. My lecture today concerns a recently discovered manuscript from around the Dead Sea that has by chance fallen into my hands, the so-called Prayer Diary of Elijah. Chislev the 12th – Dear diary, good devotions this morning, but I’ve gotta remember to pray tomorrow about rain. I have a nagging feeling that the drought deadline is almost up. Man, where did three and a half years go? I’ve gotten so busy lately, gotta prioritize. Have to go, bye Elijah. Chislev the 13th – Dear diary, spent most of my time this morning praying about this sore throat. If only I didn’t have to shout at people so much, and do it in Hebrew to boot. Those guttural consonants are murder on the larynx. That’s about it for today, your scratchy-voiced friend, Elijah. Chislev the 20th – Dear diary, sorry I haven’t written for a while. The “Sub-Committee to Do Something about the Drought” met 3 nights this week. They were talking conservation measures – no washing the chariot for a start, then if things don’t improve we start drinking our used dishwater. Wrote a threatening note to Ahab this morning. 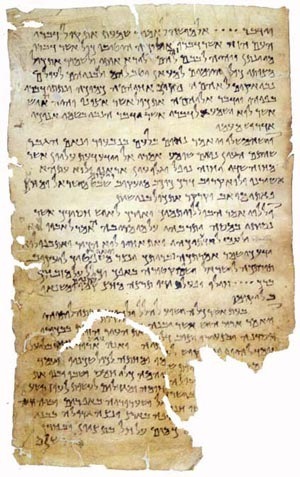 That meant that I didn’t have time to pray more than a quick “Help me get through the day, all right?” But, I thought the letter to Ahab struck just the right tone of righteous indignation, as did the PaleoHebrewBold 12-point font that I wrote it up with. Elijah. Chislev the 22th – Dear diary, okay, I just settled down to pray when there’s a tumult from next door. The Feinstein boy got gored by an ox, so there’s this big discussion over whose ox did it and so who’s guilty [Note – see Exod 21:28]. Naturally, it’s up to you-know-who to prophetically discern the right beast to stone to death. Finally, we get that squared away, but can I go back to work? No! You’d really be amazed how many boulders you can heave at a full-grown ox and it still stays on its feet. Just then some guys come along and start yelling at us. Predictable stuff: Hey, what are you doing to that poor ox? Yo, don’t throw stones at that ox! Things like that. My whole morning was wasted on livestock! Boy, they didn’t teach this stuff in seminary. I’m really more of a people person. Yours, Elijah. Chislev the 23th – Dear diary, what a mess. I’ve had it marked on my calendar for a whole 3 years to pray for the drought to end by such and such a date. This morning, I flip the page over to next month, and there it is staring me in the face. No way I’m going to be able to get an extension, either. I prayed for rain for a full 10 minutes, and sent my servant up to the roof to see if he could spot any clouds on the horizon. “I think I see one,” he calls out. “How big is it, like a man’s hand?” I yell back. “It’s more like the size of a dime,” he says. “No, just a sec…is that a cloud or is it smoke?” Turns out it’s those Feinsteins again – they’re barbecuing the ox in the backyard. At least we got a chuckle from the irony. I think it’s important to have a good sense of humor in ministry. LOL, Elijah. Chislev the 28th – Dear diary. Sat down to really, really pray and here’s this new scroll from James Dobson sitting on my desk, and I got all wrapped up in it. It was about whether you should discipline your sons with a rod or with a whip. “Focus on the Kindred” puts out such good stuff that I couldn’t resist. Wow, it’s the 28th already. Okay, a brand new month starts tomorrow, and I’m going to get praying this drought away, no fooling around now. Who would have thought that being a prophet would eat into my prayer time so badly? Your friend, Elijah the Prophet. There’s more, along those lines. So, the Prayer Diary of Elijah, hoax or history? The answer is, science has proven conclusively that it is a forgery. After months of tests, we noticed that this is not handwritten, but a computer printout on ink jet paper (Georgia Pacific High Grade). I should add that it looks ancient only because I spilled coffee on it. One also finds in the text the odd reference to Elijah’s alarm clock not going off and people texting him during devotions, let alone the LOL being a dead giveaway. But the theological clues are the most telling. I ask you, how could Elijah’s prayer life have been this rocky? It is a scholarly certainty that that would have been inconceivable. After all, even if he were as human as we are, he would have done a better job praying; am I wrong? “Have they Discovered the Lost Prayer Diary of Elijah?” by Gary Shogren, PhD, professor of New Testament, Seminario ESEPA, San José, Costa Rica. And yes, this is a goof; any similarity between this prayer diary and any prophet living or dead is purely coincidental. on March 20, 2011 at 5:53 pm Comments Off on Have they Discovered the Lost Prayer Diary of Elijah?